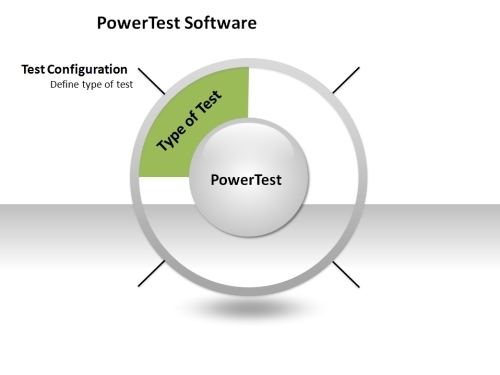 PowerVIEW2006 is a Microsoft Windows® based software package, which provides an easy to use, intuitive graphical interface to the LEM or FLUKE Norma 4000/5000 Power Analyzer. 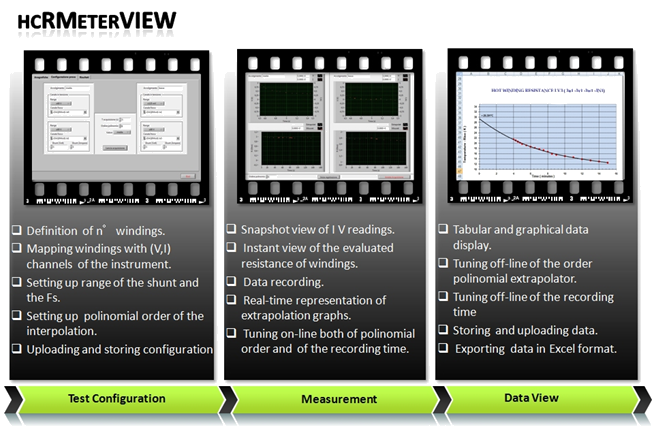 PowerVIEW2006 is designed for easy manipulation with instrument's configuration and for retrieving the measured data from the instrument. 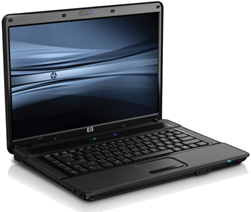 It has fully featured stand-alone user interface for convenient using of implemented functions and for error checking and tracing. LEM or FLUKE Norma 4000 or Norma 5000 Power Analyzer, firmware version V1.2 or higher. HCRMETER is designed in order to execute automatically volt-current measuremets of hot and cold resistance of Power Transormers and/or Reactors. The instruments is equipped with specific software both for the measurement of cold resistance and for processing of heating test that will spotlight the measurement of hot resistance without any intervention of the operator in data acquistion stage. The optical stimulator can be used both as stand-alone device for specific tests, same way as classic instrumentrs, both as a remote device managed via LAN through TCP/IP communication protocol. 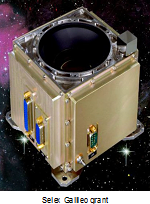 The system is housed into a 19” chassis that allows installation inside standard rack, making easier the use as substystem of test bench for navigation systems and positioning of spacecraft (satellite, probes, etc.. ). The device is able to drive, simultaneously and independently two optical heads. Each optical heads is made up of 4 LEDs and 1 temperature probe. In local mode the system can be managed by an operator interface based on 5.6” touch panel, that easily intuitively allows the control of the optical heads by providing information about the state of each set of LEDs. Using the USB port on the front panel, it is possible to upload/download configuration data of the optical heads and the LUT (lookup table) regarding of temperature compensation of LEDs, in order to easily manage the different type of optical heads to be used. Pragma Engineering develops and set up dataloggers, monitoring and control systems for environmental and structural purposes. The company is able to analyze specific customer requirements in order to provide all the components needed to realise a full integrated monitoring system. 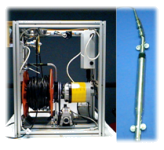 Pragma Engineering S.r.l. realises and mounts remote monitoring systems and control systems for application in environmental and structural field. Pragma Engineering is able to analyze specific problems of the customer and to provide custom and integrated solution of a monitoring systems full compliant with requirements. The company is able to analyze the specific problems of the client and provide all the information necessary for the realization of a comprehensive and integrated monitoring system that fully meets the requirements. 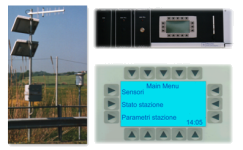 REDAS: Electronic control unit for monitoring environmental parameters, with data transfer via radio. AUTOCLIN: Tiltmeter system for automatic measurement of landslides. Pragma Engineering has designed and developed in 2011 an Inverter DC Current Inputs Monitoring System for photovoltaic power plants. 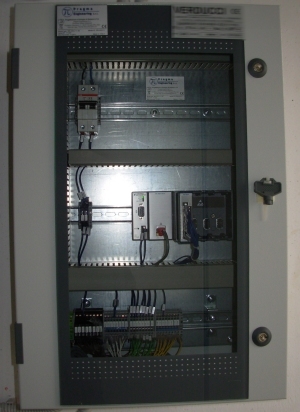 The monitoring system is able to acquire DC input currents of inverter devices included in a photovoltaic plant. In detail the monitoring system includes 8 current channels in order to acquire 4 DC lines for the master unit inverter and 4 DC lines for the slave unit inverter. The system has no views on local, but it can be queried via MODBUS TCP/IP protocol by Ethernet connection included in the controller module. The system has been configured with MODBUS parameters in order to permit requests by SCADA application supporting MODBUS communication protocol. Any fails of the transducers or of the system will be storage in the status discrete registers, in addition a led will be blinking in case of transducer fail or will be on in case of system fail (in normal operating mode the led will be off ). Starting from 1999 Pragma Engineering S.r.l. 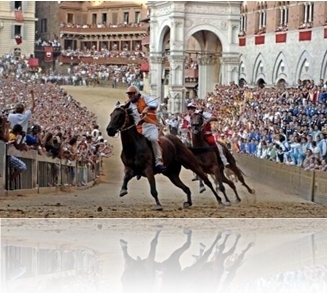 was charged by City of Siena to execute a monitoring intervention on tuff spreaded in Piazza del Campo when is running the Palio of Siena and this monitoring activity has the objective to improve safety conditions of jockeys and horses during the race. The main intend of the monitoring is the characterization of the soil (tuff) spreaded on the square when the race is running through detecting microclimatic parameters and physical features of the soil. The executed monitoring has allowed the creation of a wide and comprehensive database, that is needed to study and to implement improving actions for the sealing of soil especially in some critical points of the route. 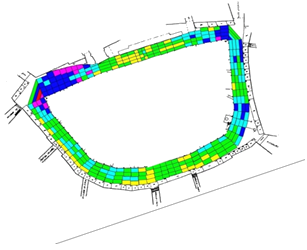 Acquisition and analysing of data of the soil and climatic conditions of the square. 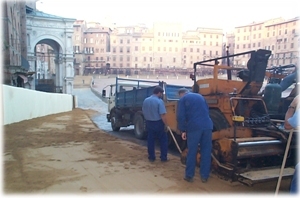 Supervision of the process of soil preparation, definition of soil preparation and eventually its revision. 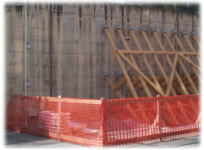 Mechanical resistance tests of the soil locally executed. Experimental activities of mechanical treatment of the soil.